Be sure to register now for our fall national security conference. 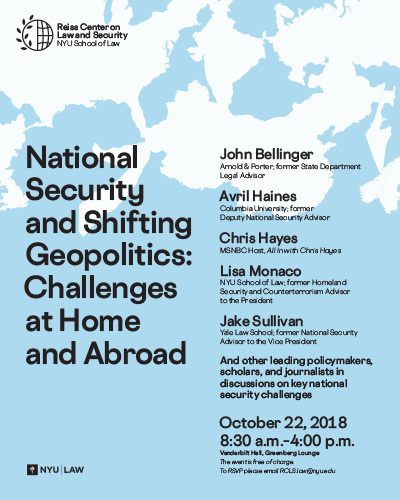 The conference, National Security and Shifting Geopolitics: Challenges at Home and Abroad, will feature leading policymakers, scholars and journalists to address key national security challenges of our era. 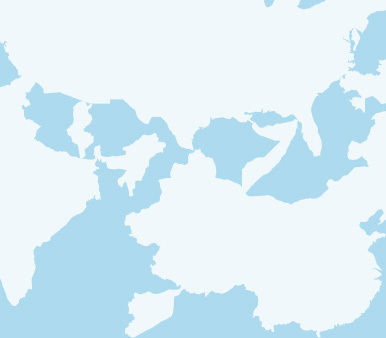 A conversation with senior thinkers and practitioners, exploring fundamental questions of the global architecture from a national security perspective—including how key global players are engaging in or re-shaping international institutions and the rules of global engagement. A discussion with Hill staffers and experts on Congress’s national security agenda following the 2018 midterm elections, focusing on inter-branch dynamics, institutional trends, and key global issues. Journalists and legal experts will explore major challenges in national security journalism today, including the legal, professional and ethical dilemmas posed by disinformation campaigns and major leaks or hacks of information facilitated by foreign governments. Co-sponsored by Just Security.